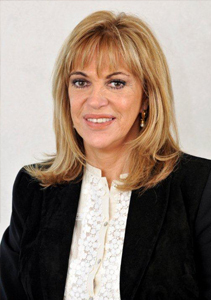 Graduated as a lawyer from Pontifica Universidad Catolica de Chile, she has been practicing law for almost 30 years gaining a vast experience in the areas of Civil, Commercial and Tax Law, with special emphasis on tax and corporate areas, she has provided services to relevant companies and individuals. Additionally, she has worked extensively in banking and financial matters, renegotiating liabilities, performing transformations, divisions and mergers of different companies. She has also taken part in the creation and formation of companies and societies of various kinds, particularly family businesses. Besides being a partner of PEREZ CALAF & CIA. she is also part of the board of directors of the Mutual Guarantee Society (S.A.G.R. ), PROAVAL. He graduated as a lawyer form Universidad de Chile. With 30 years of experience, he began his professional career in the law firm "Etcheberry & Cia.". He also worked at the law firm, Alfredo Etcheberry O; Carlos Figueroa, Jorge Valenzuela D. and Associates. Currently a member of PEREZ CALAF & CIA.he specializes in the areas of Labor Law and Commercial Litigation and consults for various Transportation, Forestry and Logistics companies. He graduated as a lawyer form la Pontifica Universidad Catolica de Chile, from 1988 to 2003 he successively held the posts of Secretary and later judge in several courts of the country and finally in the metropolitan area. He also served as Rapporteur in the Courts of Appeal and in the national Supreme Court. In 2003 he was appointed Regional Prosecutor of the district attorney’s office in the Region of O'Higgins, a position in which he had to implement the Criminal Procedure Reform in this region and perform the audit and monitoring of contracts, resolutions, reports, as well as in connection with public and private biddings. As Regional Prosecutor he was in charged of investigating several cases of national connotation, such as the death of businessman Luis Francisco Yuraseck; as well as the case against the senior staff of the company Tur Bus, which imposed a novel legal theory of criminal responsibility within a company, among other significant cases. He is currently a partner of PEREZ CALAF & CIA., working in the field of Civil and particularly Criminal Law. She obtained her Business Administration degree form Universidad Finis Terrae. She has a Diploma in Accounting and Financial Analysis form the Faculty of Economics and Business of Universidad de Chile. Currently she works in the areas of administration and finance, corporate constitutions and the organization of PEREZ CALAF & CIA.and also in the administration and implementation of the Mutual Guarantee Institution, Proaval Chile S.A.G.R.